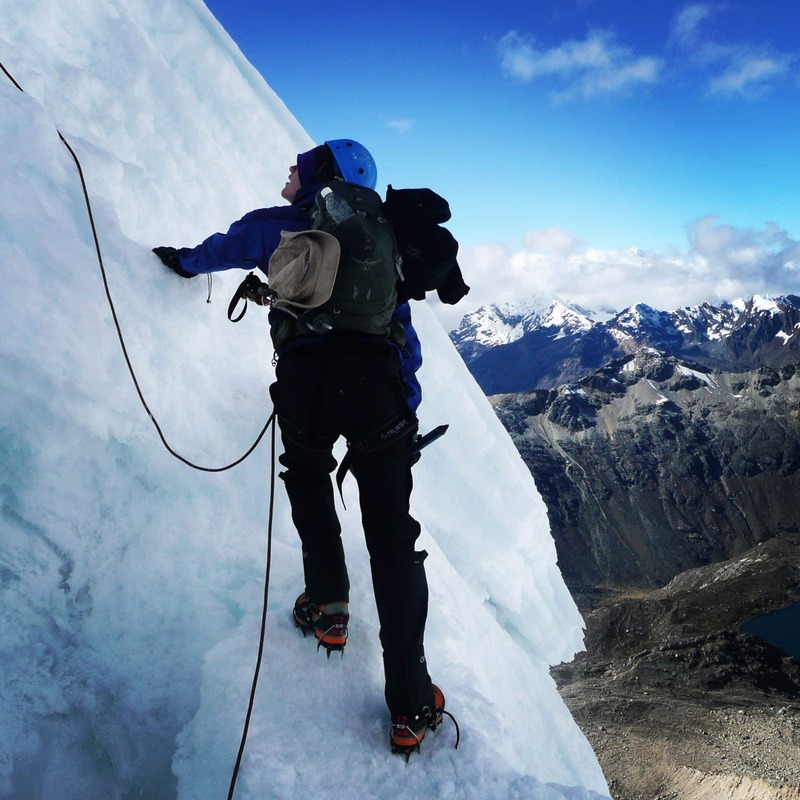 A 12-day program which combines trekking and mountaineering in the same place: the Peruvian Cordillera Blanca. 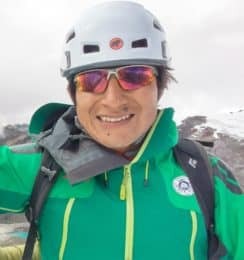 Enjoy the Santa Cruz Trek and the ascents to the Urus, Ishinca and Tocllaraju peaks in company with Marco, a local IFMGA certified mountain guide. You will not only have the opportunity of walking along the Santa Cruz Trek. 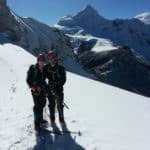 You will also live a unique mountaineering expedition up to the summits of 3 amazing peaks: the Urus (5495 m), the Ishinca (5550 m) and the Tocllaraju (6035 m). Therefore, the Santa Cruz Trek will help you acclimatize your body to the height and get ready for the climbing stage of this trip. As you may know, the Ishinca and Urus peaks do not involve a technical knowledge. However, the Tocllaraju has some stretches of technical and steep climbing. 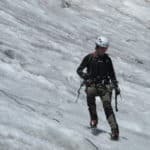 That is why I always recommend to have some prior ice climbing experience. 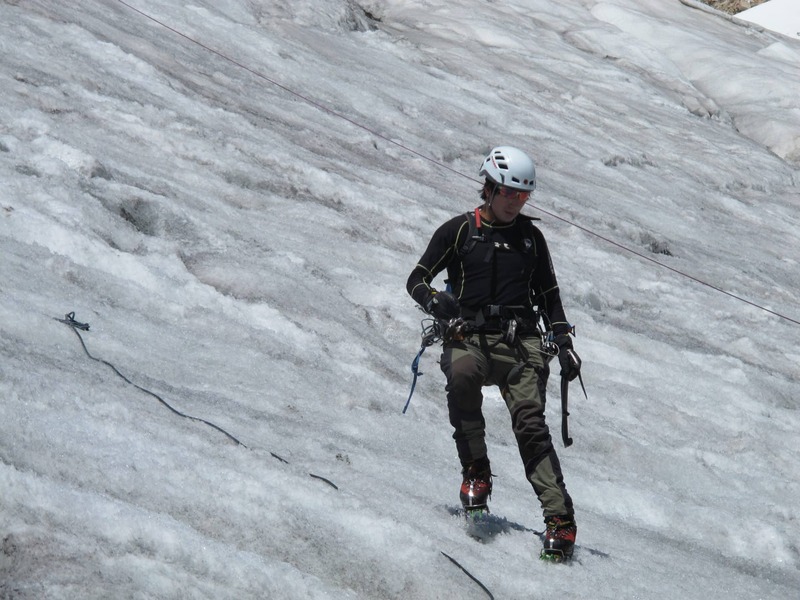 In addition, it is also important that you know how to use crampons and piolets and how to descend by abseiling. The best season to come to the Cordillera Blanca and enjoy this amazing program is from May till September. I can lead a group of 6 guests during the trekking stage. Once we start the ascensions I will lead a group of no more than 3 participants. 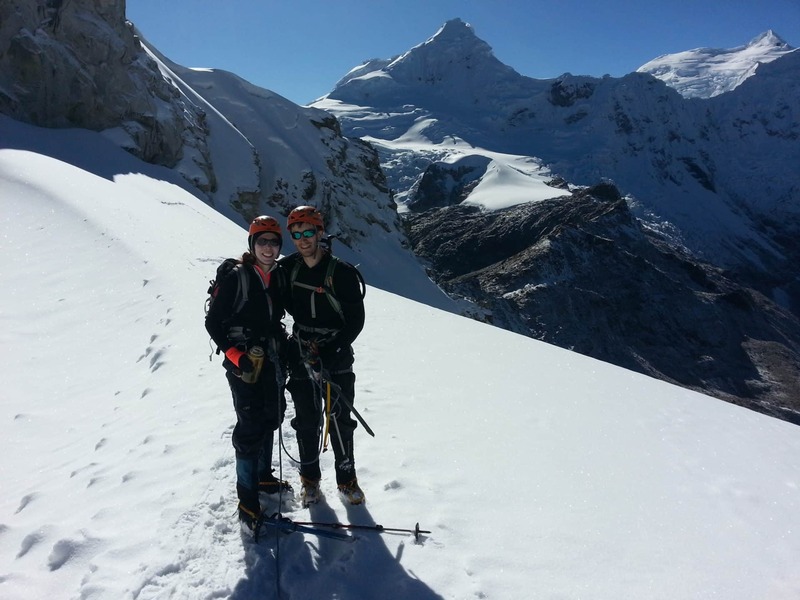 If you are a larger group, a mountain guide assistant will join us. 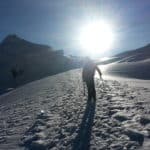 And if you want to climb these 3 peaks but you don’t have so many days in the country, please check out my 7-day program. If you want to join me in this adventure contact me now and make your reservation. I will be happy to be your guide! After breakfast in the hotel we will travel by private bus along the Callejón de Huaylas. We will make our first stop in Carhuaz. Then we will continue traveling to the Cashapampa District to meet the donkey drivers at the trailhead. 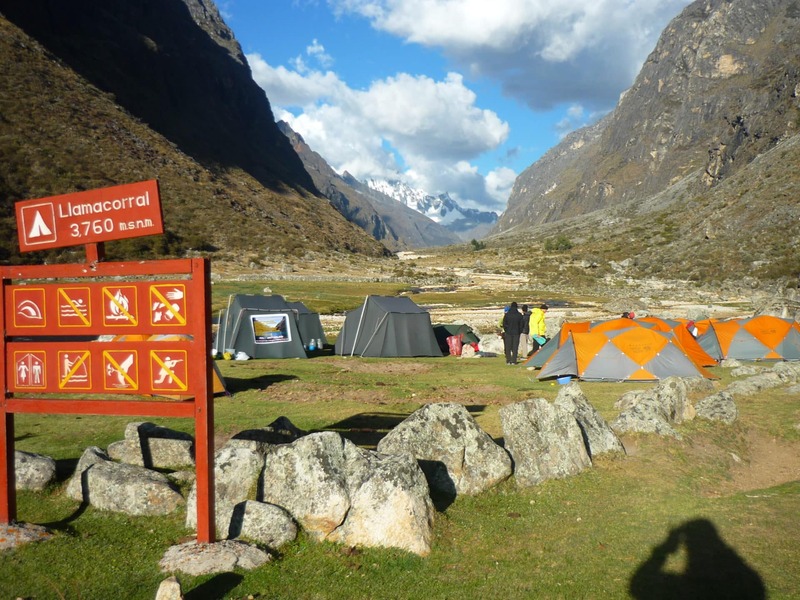 So, here we start a six hour hike to our first camp: Llamacorral, at 3800 m.
A full hiking day awaits us today. After having breakfast we will start a 2-hour hike in direction to the Ichiccocha and Jatuncocha Lakes. From here we continue for another two hours to the Alpamayo base camp. From there, you’ll have a privileged viewpoint of the Alpamayo, Quitaraju, Artesonraju, Paron and Aguja mountains. Two more hours of hiking will bring us to our second campsite in Taullipampa. We will start the day at 8 AM. A 4-hour hike will take us to the Punta Union Pass (4750 m) where we will have lunch while enjoying the splendid landscape. After that we’ll descend for approximately 3 or 4 hours to our final camp, in Cachinapampa at 3800 meters of altitude. After breakfast we will start walking down for about 2:30 hours to Vaqueria, where our bus will be waiting for us. Transportation to Huaraz passing the Portachuelo Pass at 4770 meters. Finally, we will continue our travel to Yuraccorral, where we will have lunch. After registering at the control of the Huascaran National Park, where we’ll continue down to the valley until we are in Yungay and then in Huaraz. Transfer to your hotel. This day you will have free day to do some shopping and get ready to start the second stage of this program. Private bus to the trailhead in Pashpa, where we will meet the donkey drivers. Then, we will hike along the Ishinca Valley, where there is the National Park’s control. After the check-in we will have lunch and continue walking in direction to the Ishinca base camp. Here we will check our climbing equipment for the next day and spend the night in tents. We will wake up early and have breakfast at 3 AM. After that we will start hiking towards the glacier for 2:30 hours. Here we must use our climbing gear to climb up to the summit. After 3 hours we will be at the top of the Ishinca enjoying a nice view for some minutes and taking pictures of the valley. We will then start the descent for about 2 hours to the Moraine camp and continue to the Base Camp, where we’ll spend the night. Today we’ll start hiking at 4 AM arriving at the glacier 2 hours later. 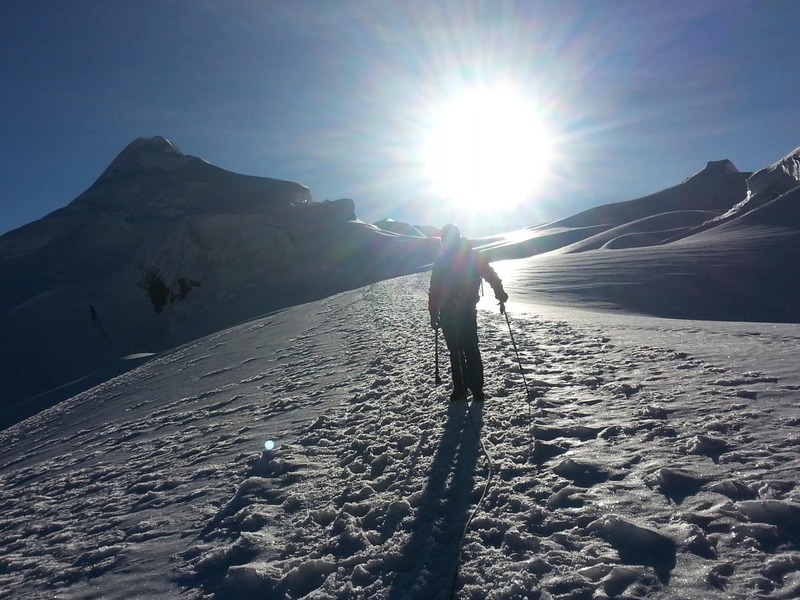 Then we will start climbing up the glacier until we are in the 5497-meter summit. After some pictures, we must descend for about 1:30 hour to the Moraine camp and finally to the Base Camp. Overnight camping there. 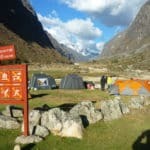 You will have the free day to walk around the camp and prepare the climbing gear to the next challenge: the Tocllaraju. Today we must reach the Camp 1. After 2:20 hours we will be arriving to the glacier where we must put our climbing gear on to continue. Finally, we’ll spend the night in the Camp 1, over the glacier. After breakfast at 3 AM we will climb up to the Tocllaraju summit for about 5 hours. 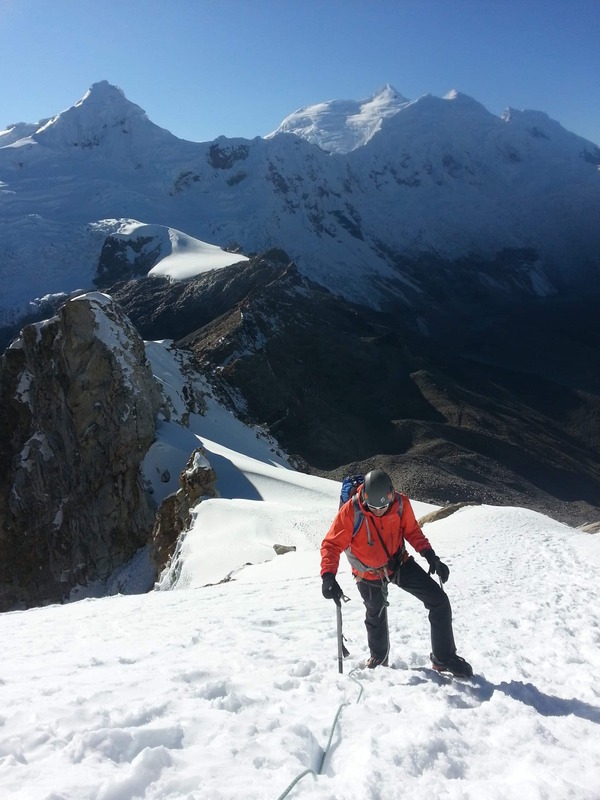 Once at the top we will enjoy the splendid views of the Huascaran, Santa Cruz and Ranrapalca peaks. Time to return to the Camp 1. Here, we will pick up our equipment and continue to the Base Camp, where we’ll spend the last night. After breakfast we must walk down to Pashpa. Once in there our private transfer will be waiting to take us to Huaraz and then, to your hotel. Time of arrival in Huaraz: 2 PM.